Public works Department under the Ministry of Housing and Public Works is known as the pioneer in construction arena of Bangladesh. By our assignment we have tried to provide the overview of the Public works Department of Bangladesh. We divided the whole assignment into 3 segments, putting theoretical aspect, Practical feature & ending remarks as the main point. We all know that Local government structure of Bangladesh has two parts Urban and Rural. Urban administration is related to the administration of civic needs and planning of a particular legal area. This administrative system has the presence of urban municipal government in the intermediate and small towns and other special authorities in the big municipal cities. Along with the formal urban governments there are also some of the special development and special purpose authorities to meet the growing demand of urban services. Each of the authorities has different specific functions, where Public Works Department is regarded as an important one. Public Works Department (PWD), under the Ministry of Housing and Public Works, is the pioneer in construction arena of Bangladesh. Over about two centuries, PWD could successfully set the trend and standard in the country’s infrastructure development. And it also plays a pivotal role in the implementation of government construction projects. Since the emergence of PWD in 1854, the scene as well as the view of new and old Dhaka started to change step by step. Both national and international all kinds of development have been brought by this precious department. Some important notes on PWD are stated below. PWD has over two hundred years of experience and expertise in construction and design in building monuments, parks and public buildings and is involved in their maintenance as well. It has a present strength of 19000 employees including almost 600 Graduate Engineers and 1200 Diploma Engineers and other workers. It has expertise in preparation of books of Specifications, in procurement of materials, in valuation of land and property etc. It has highly qualified and experienced professionals forming a multi-disciplinary team of civil, electrical and mechanical engineers. PWD also collaborates with the engineers from other departments like Urban Development Directorate (UDD), Housing and Settlement Directorate (HSD), Department of Architecture in the completion of the development works. It is also the first choice among discerning clients for any type of government construction projects in Bangladesh. Besides being the construction agency of the government, it also performs regulatory function in setting the pace and managing projects for the county’s construction industry. It is also known as a sister organization falling under the administrative control of the Ministry of Housing &Public Works, to provide services to the nation. Paramount importance is given to the functional and aesthetic quality, application of appropriate technology and local materials, cost effectiveness and mostly to the user satisfaction. It aims at total Quality Management through a system of modernization and human resource development. And it is fully geared to meeting new challenges in the construction sector with numerous projects. Over the years, the PWD has gained invaluable experience in a wide range of fields. It has an excellent track record for quality, cost effectiveness and speed. Well-documented standards, specifications, schedule of rates, design practices, costing systems, the application of procedures which ensures proper utilization of public funds and total accountability etc. are all embodiments of the department. Three thousand years ago in this subcontinent we introduced with an instance of planned public work in Mohenjodaro and Horoppa city. People become surprise still now, when they know about the planned city. After that different rulers had done many marvelous public works. During the period of the British rule in this subcontinent, in 1786 a Military Board was set up to look after all public work matters at that time. During this time PWD has started its formal activities in Lahore, Punjab. Latter on the Government decided to establish the Public Works Department in 1854. At that time PWD was responsible for the construction of roads, buildings, railways as well as flood control, irrigation and military works. In 1863 PWD was divided into three sections –public works, and irrigation, military works, and railway. After that these sections turned into separate association. During British period there were two association- PWD and The Communication and Building Directorate(C&B) for doing the public work. PWD was in the control of Central Govt and C&B was in the control of Provincial Govt. With the partitioning of India and Pakistan in 1947, the responsibility of construction work of the Central Govt of Pakistan was vested in the Central PWD. After the liberation of Bangladesh in 1971, the country inherited two separate organizations for the construction and maintenance of Govt buildings, the Central PWD and C&B. These two entities were merged into one department in 1977 to form the present Public Works Department (PWD). In 1983 PWD was reconstructed according to the recommendation of ENAM committee. The organization’s construction work is directly connected to the national programme of development and reconstruction. Various works programmes of the Public Works department and its span of work are not confined to the urban areas only. From past to present they have reached into distant district head quarters, remote villages, near borderlands and even the largely inaccessible parts of the country. Since its inception the department has been performing its task with a high degree of innovation. From the previous discussions we have known that, the Public Works Department (PWD) is the premier construction agency of the Government of Bangladesh. It plays a central role in the execution of Government infrastructural projects. The contribution of the PWD encompasses the entire spectrum of physical and social infrastructure for national development, national security and international relations. Its activities span the length and breadth of the country including remote areas and difficult terrain. It may be mentioned here that the architectural plans and designs of almost all Government infrastructural projects are done by the Department of Architecture in close consultation with the PWD. The main responsibilities of the PWD are shown below. Construction of buildings for other agencies on a deposit work basis. Preparation of Book of Schedule of Rates and Analysis of Rates for Construction & Maintenance of Public Buildings. Construction and design of public building except those of RHD, T&T, Postal department. Repair and maintenance of public buildings. Acquisition and requisition of Land for construction work. Preparation of Book of Specification and Code of Practice. Procurement of Materials and Equipment required for Construction Work. Valuation of Land and Property and fixing of Standard Rent. Undertaking projects for autonomous bodies, apart from the public sector. Offering consulting services for construction projects right from conception to completion with support coming from its sister concern, the Department of Architecture. Executing projects on a turnkey basis with such services as water supply, sewerage systems, internal roads, electrification, air conditioning and fire-fighting coming as part of the package. PWD has constructed and handled about 200 residential flats to the government employees in last three years. Completed the construction of 100 flats of 1800 square feet. Completion of the 10 flats out of 20 flats for the Honorable Ministers in Mintu road of DhakaCity. Taken as well as completed the construction of 668 flats under the project of Special Apartment Implementation. Completed the construction of the auditorium of Dhaka officer’s Club. 61 flats in Rangamati district. Maintenance and enlargement 1460 flats of Motijil and 392 of Khilgaon colony. Taken the project to construct 240 flats in the Azimpur colony. Working to solve the residence problem many of the government employees.For this they have taken the project of building 16 new building in place of 9 old buildings in Motijil government colony. 607 flat construction project for the government employees. For the formulation of projects, preparation of project proforma, project concept papers, schedule of rates as well as book of specification and code of practice, etc. For the preparation of structural designs and drawings. This is supported by a ComputerCenter and Library. Most of the Structural Designs performed by using the soft ware STAAD PRO-2001 and other Engineering soft wares. For planning, designing and implementing electrical and mechanical aspects of a project. For the procurement, operation and maintenance of construction equipment. It is also supported by a well-equipped workshop as well as skilled manpower. In particular, this unit played a significant role in reviving the ailing construction industry of the new Bangladesh at independence. Most of the ornamental and special woodwork of important Government projects are undertaken by the PWD Wood Workshop Division. The division also supplies furniture as per the requirements of any Government department. For any type of pre -stressed and pre-cast concrete work. For creating aesthetically pleasing and environment-friendly surroundings and landscape as well as maintaining water bodies, lakes, cools, etc. PWD has a well organized administrative set up, which is headed by the chief engineer and supported by several other engineers in different stages. The Chief Engineer is the administrative and technical Head of the department. He also acts as the Technical Advisor to the Government of Bangladesh. The next in command are elevan Additional Chief Engineers. Each Additional Chief Engineer has a separate hierarchical setup of Superintending Engineers, Executive Engineers, Sub-Divisional Engineers and Assistant Engineers. The operational units in the PWD are spread throughout the country. To facilitate better client/users satisfaction and adequate technical, administrative and supervisory control in the execution of projects, field organizations are comprised of Zones, Circles, Divisions and Sub-Divisions. The Public Works Department (PWD) is manned by competent persons with required academic and professional qualifications. The officers requited through the Public Service Commission, represent the Bangladesh civil service (works) cadre. Total there are about 6120 personals and staff in public works department. Public works department provides two kind of training for the employees who are recruited in coder services. The tenure of the training is 3 days and 6 days. It is the primary level training for the employees. But the higher level engineers get extra training. They can be trained up in the country on they can be sent out side of the country for training purpose. One is called on lien process in this process they go outside for training or for educational purpose but they have the other hand they can go outside for educational or training purpose on the Deputation. In this process they enjoy all the facilities of his /her service. 1. To integrate environmental considerations into housing and urban planning activities. 3. To monitor and control housing and urban development schemes that may have an adverse impact on the local and overall natural environment. 4. To accord greater importance to water bodies for thier part in maintaining ecological balance and beautifying urban areas. Under the leadership of one superintending engineer, 15 people with two executive engineers are working on audit objection, solution, monitoring and financial discipline in project implementation. Under the leadership of an officer of BCS cadre (judgment), arrange all kinds of legal suggestions for project implementation. Under the headship of an executive engineer, this branch is helping chief engineer office to maintain disciplinary activities. Under the leadership of an executive engineer, this unit is helping chief engineer office to maintain organizational and managerial activities. Under the leadership of two BCS cadre (audit & account), this branch is helping chief engineer office about all kinds of account related activities. Under the headship of a welfare officer this unit is leading different activities about welfare of officers and workers. All of these unit’s activities shows that PWD is a well-controlled and transparent organization. So, they are accountable internally and externally to the government. A Citizen’s Charter is the expression of understanding between Citizen’s and the provider of a public service with respect to the quantity and quality of services in exchange of the taxes they pay. It is essentially about the rights of the public and obligations of the public servants. The main purpose of developing a charter is to improve access to public services and promote its quality. It does this by encouraging the involvement of users and others in discussions about the service, telling them how to make contact, what level & service to expect and how to seek a remedy if something goes wrong. the citizen’s charter of the PWD is the process of getting services as per demand of the public officers and public servants for the maintenance and repairing and reconstruction of public residences and offices. This charter also aims in to completing the constructions and maintain them according to deliberated time frame, by meeting the scale of fixed quality and effective cost to ensure transparency and accountability through the responsibilities performed by the Public Works Department. a) Repairing and maintenance of public residential buildings all over the country. b) Maintenance of the National Memorial and Construction of other memorial monument and preserve them. c) Sanctuary of the National grounds and Public Parks. d) Presenting reports on public grounds under PWD including Dhanmondi Residential area, Tejgaon Industrial area, KhilGaon Rehabilitation area and leftward places. In the citizen charter, the PWD authority also presented their functions and activities, services they provide, and the time frame of performing those services. The addresses and contact information are presented of the Field Officers. Contact information is also available for after office time/ holyday Complaint facilities. Public Officers and servants can register complaints while they are living in or responsible for any public Building, to the office in voice, or in a written application to record in the PWD office. Meeting/ conversation with the user of the Buildings is also of their activities and responsibility. PWD arranges meetings headed by Additional Chief Engineer once in a year in December, and twice (in July & April) by the associated Superintending Engineer. Anyone interested to attend the meeting has to contact through telephone or via e-mail, one month before the meetings are to be held. PWD evaluates their performance through applying Citizens Charter by serving questionnaire to the user of the buildings every year. An Annual Procurement Plan (APP) is published sector-wise with the information of those orders of action with dates from the different ministries for whom PWD is working, from which date the construction/ project has been started, when the project to be completed, time taken to be completed the job, fund and allocation of money, expenditure, problems, if faced, progress reports etc. These information are also supposed to be published in the website. 10. If any citizen has any complaints or suggestions about the parks and fields under PWD, can contact with the head of Arboriculture Division through phone (02-9569310), e-mail (ee_arbor@pwd.gov.bd). Mutation after the death of real owner for his/ her inheritor. Permission for commercial use of the permitted plots and roads. PWD welcomes the citizen’s enquiry for the information about anything under PWD. The citizens charter of the PWD has a very good side that it has included a part that shows, how this office will implement and apply its citizens charter. From the page 5 to 7, it contains the process of applying citizens charter in their regular activities. 13. There are 22 points or steps to apply the citizens charter, includes all the functions and activities with quality performed by them. 14. To run the complaint management effectively and to apply citizens charter successfully, there are 1 Sub-divisional Engineer, 2 Assistant Engineer, 1 Computer operator, 1 pion and 1 messenger under the responsibility of an Executive Engineer ( O& M). For the hundred years the Public Works Department has laid the foundation of the country’s construction industry. Many of the monumental projects have been taken since its inception, which has changed the face of the Dhaka city. The projects or achievements what they have gained is stated in a table, into phases. Minister’s Bunglow at Eskaton, Dhaka. Salimullah Muslim Hall, Dhaka Uinversity. Bangladesh Agriculture Research Institute, Gazipur. The ongoing Health and Ppulation project. Dhaka Adhunik Novotheatre,Planetarium in the capital. Forty flats for government ministers. 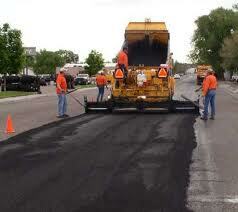 PWD works under the ministry of Public Works and Urban Development. There are also Housing and Settlement Directorate (HSD), Urban Development Directorate (UDD), Rajdhani Unnayan Kartripakkha (RAJUK), Chittagong Development Authority (CDA), Khulna Development Authority (KDA), Rajshahi Development Authority (RDA) in this ministry. They help each other in their works. PWD makes committee to justify tender with officers of different departments. Architecture dept helps PWD about project design. PWD takes help from City Corporation and RAJUK for maintaining architecture. Proper utilization of budget: Most of the ministries or depts. are failed to use their budget fully. But PWD use 80%-90% of their budget. Enhancing international relations: There are 54 High Commissions offices in Bangladesh. PWD built these. PWD also built UNDP, ADB, USAID, EC offices with great design and maintaining building code. It helps to develop international relations. This creates a great opportunity to increase foreign investment in infrastructure sector of our country. Saving foreign currency: PWD has the ability to build architecture perfectly. So it is not necessary to hire foreign builders. PWD helps Govt to save money. Ensure healthy environment: To maintain good and healthy environment water supply and sewage line is important. PWD designs the infrastructure projects considering this matter. Facility of better drainage system: To protect environment from pollution PWD takes all steps. If there is no sewage line PWD makes sewage line. PWD destroy waste through septic tank and soke well. Enough manpower: PWD has enough manpower. So they can provide quick service at any time. There is a web address of PWD, from which people can get information about PWD, function and Annual Procurement Plan of PWD. There is a adviser in PWD who updates the email information. PWD has Mobile Phone service to provide service in emergency. PWD organizes “Continuous Professional Development” to train the PWD officers. PWD takes proper training programs to skill their officers in IT sector. PWD arranges foreign trainings, seminar and workshop. So that employs can serve the people as possible as best. If people have any complain against PWD they can complain by email address or phone. It is an important means to ensure accountability. PWD evaluates their performance by distributing Question Paper. It helps to ensure accountability. There is a “Vigilance Monitoring Team” for ensuring accountability and transparency. Public Procurement Plan (PPR) is Bible for PWD. There are work process, duration of works, tendering system, sales rate e.g. in PPR. PWD follows all these regulations. We have got enough information, examples about the maintenance problem of PWD by observing Ramna Uddan, Ahsan Monjil, and Central Shaheed Minar so on. The environment of this architecture, Uddan is shabby. There is no lighting system in exhibition room of Ahsan Monjil. There are no enough benches for common people in uddan. Benches are not cleaned regularly. Toilets are not cleaned. So people cannot use toilets. Drug addicted people, peddlers, drabs creates outbreak. So common people cannot move freely. There are 64 security guards in Ahsan Monjil, 32 in Ramna Uddan. But they are not interested to do their works. There are no enough dustbins in uddan. The garbage are scattered here and there. There is no system of pure drinking water. Anawara Uddah, situated in opposite Dhaka Tejgaon college, because of drug addicted. The environment of this uddan is not favorable for common people, Uddan is not maintained and cleaned regularly. According to chief Engineer of PWD, in adequate manpower is responsible for this. PWD has taken a project to build 3360 flat by filling Banani-Moahakhai lake, in 23rd December 2008 at the time of Care taker Govt. Under public private partnership. If this project is fulfilled then water logging will be created in cantonment and mohakhali area. For this why WASA requested PWD to stop this project. Besides BAPA arranged protest meeting against this project. BAPA said that, this project is totally contradictory to the Reservoir Preservation Act 2008. Zillor Rahman the executive engineer of mohakhali division o PWD is in charge of this project. PWD complete their project through contractions. Contractions are selected by tendering system. Lack of free fair in tendering project completion is hampered. Some times tender is cancelled without any reason. As a result it becomes difficult to fulfill project in due time. In Banani-Mohakhali project tender was cancelled by 2 times first 18 December then 28 December 2008. Lack of independency: The officer of PWD cannot express their own opinion against project. if they do this their promotion , training is cancelled. They are transferred. EXAMPLE: An officer made a negative comment about Banani Mohakhali project. As a result he has to go retirement. Lack of proper valuation: Valuation of land is an important task of PWD. But PWD does not do this considering the current market price. EXAMPLE: PWD fixed the land price of Banani Mohakhali per katha 50 lakhs. But the real market price of this land is 1 crore per katha. So it can be said that sometimes PWD fixed the land, property price and rent without considering the real environment. Lack of information: There is a chart of responsible person in citizen charter for complain. But the chart is not complete. There is no officer name, telephone no in chart. Lack of modernization: The slogan of present Govt is Digital Bangladesh. Govt is trying to use modern technology in its works. PWD is a public dept. But it works still now through file system. E-tendering is not used. Citizen charter is not updated day by day. It was last updated in 2008. The officers are not skilled in IT sector. Bureaucratic problem: PWD cannot do their work in due time, because of bureaucratic and procedural problem. PWD is a public dept. So the negative characteristics of bureaucracy red tapism, excess rules regulations, formality are common features of PWD. Political instability: Because of political instability like Hartal, Abaradh PWDs work is hampered. E-tendering system must be introduced. Working procedure must follow digitalized system. Provision for advanced training system from junior to senior engineers. Proper monitoring system to be introduced to control the political influence. Reducing the delay of work. For the proper activation of both government and foreign projects, there must be the provision for a consultant, who will give gives guidelines in finalizing designs. Steps must be taken for proper digitalization of their work. Increasing the allocation of funds each year is also important. Proper decentralization of work must be followed and by this way the engineers must be given enough economic, technical etc. powers to run a project. Professional as well as technical expertise is a mandatory for the engineers. All these things are some suggestions for the advancement of PWD. With an analyze of past and present magnificent performance of PWD, it is to say that they have changed the face of DhakaCity its emergence. The expertise, excellence and intelligence of their works have a notable impact in our economical growth.